Healthy Aging Medical Centers in New Jersey caters to men that feel their health has fallen below optimal levels, and our comprehensive Healthy Aging Male Program can help patients to counteract the effects of aging and rise above the challenges of hormonal decline. At the initial consultation, men discuss their health goals with Dr. Rand and their medical history. 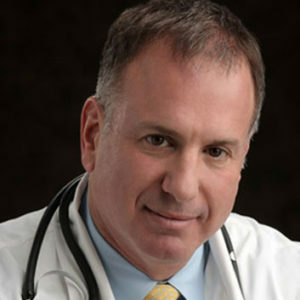 He will review all of the patient’s blood work, diet and exercise habits, and potential treatment options. At the end of the first visit, Dr. Rand will let patients know if they are candidates for bioidentical hormone replacement therapy. He will also share diet and exercise suggestions based on his personal successful fitness regimen and suggest supplements to optimize male health and revive masculine vitality. Dr. Rand puts his hard-earned medical knowledge and personal experience at staying in top health to work for his patients so they can fight hormonal decline and achieve their health goals. In men, one of the many imbalances that can occur with aging is a fluctuation in the production of thyroid hormone. While imbalances within thyroid hormone are more common in women than in men, they still occur and can reduce the quality of life. The pituitary gland signals the thyroid gland, which is butterfly shaped gland at the base of the neck, to produce thyroid hormone, and when hormones decline, the pituitary gland may become adversely affected in the way it signals the production of thyroid hormone. For this reason, it is important that men maintain balance of other hormones because all of the body’s important hormones work together to promote overall health and wellness. Grave’s disease is an autoimmune disorder that occurs when the immune system attacks the cells of the thyroid gland, and this disorder is the leading cause of hyperthyroidism. In men, it can cause metabolic functions to speed up, and it may lead to dramatic weight loss or muscle atrophy. Men may notice that despite exercising, they are taking on a more gaunt appearance and dramatically losing muscle mass. Another issue that may occur with Grave’s Disease is an increased heart rate, which can increase the risk for the development of heart disease. Men may notice that they have palpitations and possibly higher blood pressure. Vision problems may also occur with Grave’s disease, and this can happen when carbohydrates build up behind the eyes and cause them to bulge outwardly or protrude. Other symptoms of Grave’s Disease in men closely mirror the symptoms of hyperthyroidism. Hyperthyroidism involves excessive thyroid hormone production, and it occurs when the thyroid gland is overactive, which causes metabolic functions to be sped up. Because the mind and body are connected, men may notice that their moods and emotions are also affected, and they may feel anxious, nervous, restless, or experience panic attacks. In this syndrome, men may also notice that they are dramatically losing weight or experiencing muscle wasting. They can also have increased bowel movements and may need to go to the bathroom an excessive amount of times each day. Because the thyroid hormone maintains body temperature, men with hyperthyroidism may constantly feel hot and have intolerances to heat. Excessive thyroid hormone production may also lead to an enlarged lump in the neck known as Goiter, which can grow to the size of a large grapefruit. Other symptoms may include hair loss, sleeping issues, and irritability. Typically, the treatment for hyperthyroidism involves killing the function of the thyroid gland all together, which leads to a deficiency of thyroid hormone; however, men can restore their balance of thyroid hormone through the use of Bioidentical Hormone Replacement Therapy. Hashimoto’s disease is another autoimmune condition that occurs when the body attacks the thyroid gland. Depending how the thyroid gland responds, this disease can cause either a lack of thyroid hormone production or an excess amount of thyroid hormone production. Hashimoto’s disease typically affects people over the age of 50, but it can occur at any point during a man’s life. Men with Hashimoto’s can typically help the symptoms of this disease by avoiding certain triggers, which may include excessive sugar intake, toxins, or high levels of stress. In cases that present with a lack of thyroid hormone production men may experience fatigue, thinning hair, weight gain, constipation, cold limbs, depression, or low libido. For men that have Hashimoto’s and have an excessive amount of thyroid hormone production, they may experience drastic weight loss, hot flashes, nervousness, tachycardia, anxiety, insomnia, and multiple daily bowel movements. Balancing the thyroid hormone with bioidentical hormone replacement therapy can help men to reduce the effects of Hashimoto’s disease. In aging men, a lack of thyroid hormone production can lead to several disturbing symptoms that can greatly reduce health and wellness. For men that are in their 40’s and 50’s, testosterone levels have most likely declined and metabolic functions have slowed down. For this reason, a lack of thyroid hormone production can be even more detrimental. Reduced thyroid hormone levels can cause men to gain weight, especially around the middle. It can also lead to hair loss, depression, lack of motivation, high cholesterol, fatigue, low libido, and an aversion to cold. Balancing thyroid hormone levels with bioidentical hormone replacement therapy can help men to recover from the effects of thyroid hormone deficiencies. Dr. Rand of Healthy Aging Medical Centers in New Jersey is committed to helping men with thyroid disorders achieve the highest level of health and fitness so they can recover their vitality and energy. He uses his extensive medical knowledge in the all inclusive program that may include hormone optimization, IV vitamin treatments, testing for vitamin and mineral deficiencies, amino acid and allergy testing, and oxidative stress testing. Dr. Rand also utilizes bioidentical hormone replacement therapy to balance thyroid hormone levels in order to help them avoid several debilitating symptoms that can greatly reduce the quality of life. Healthy Aging Medical Centers offers around the clock care (via emails, texts and phone calls) to male patients experiencing thyroid disorders. Finally, Dr. Rand leverages his own excellent health and experience in yoga, cardio, weight training and martial arts to help male thyroid disorder patients regain balance and recover from the symptoms of thyroid imbalance. If you feel you may be suffering from the symptoms of hyperthyroidism, hypothyroidism, or a general thyroid imbalance, contact Healthy Aging Medical Centers in New Jersey at 973.435.0433 for a consultation with Dr. Rand.